To inspire young people to value learning, acquire the knowledge and skills they need for productive work and live healthy meaningful lives. To strengthen the internal infrastructure and self-esteem of learners, to enable them to make life-affirming decisions and choices. To increase and reinforce a comprehensive knowledge and understanding of HIV AND AIDS, as well as the factors associated with protection and risk. 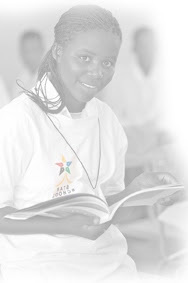 To inspire commitment to improved academic performance and to foster a turnaround in the rate of school dropouts. To advocate primary and secondary sexual abstinence. To engender a culture of safe and faithful relationships. To cultivate responsible sexuality and sexual responsibility through the safe use of condoms as a means of preventing unwanted pregnancy and Sexually Transmitted Infections (STIs), including HIV AND AIDS. To promote HIV Counselling and Testing (HCT) as the only sure way of knowing and living meaningfully with one’s HIV status.